View all products by J.L. Childress Co. The Clip ‘N Carry Stroller Hooks by J.L. 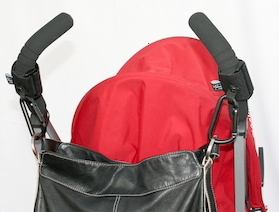 Childress provide an easy and convenient method to attach shopping bags, diaper bags, purses and more to your stroller. 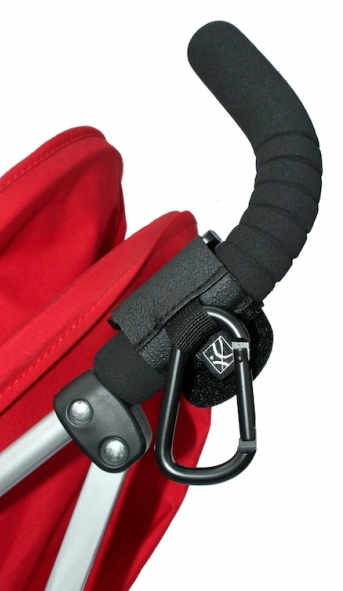 The Clip ‘N Carry’s innovative design rotates 360° allowing for the Clip ‘N Carry hooks to attach to horizontal, diagonal AND vertical stroller bars. They will even attach to the handles of umbrella strollers! Made of heavy-duty metal, the Clip ‘N Carry won’t break like plastic hooks. 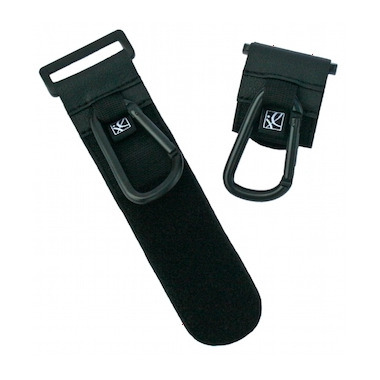 The Clip ‘N Carry’s non-slip adjustable strap fits all stroller bar sizes and the spring-lock clip discourages theft. These work great on my stroller. They hold my diaper bag or shopping bags. Love them !